NO. 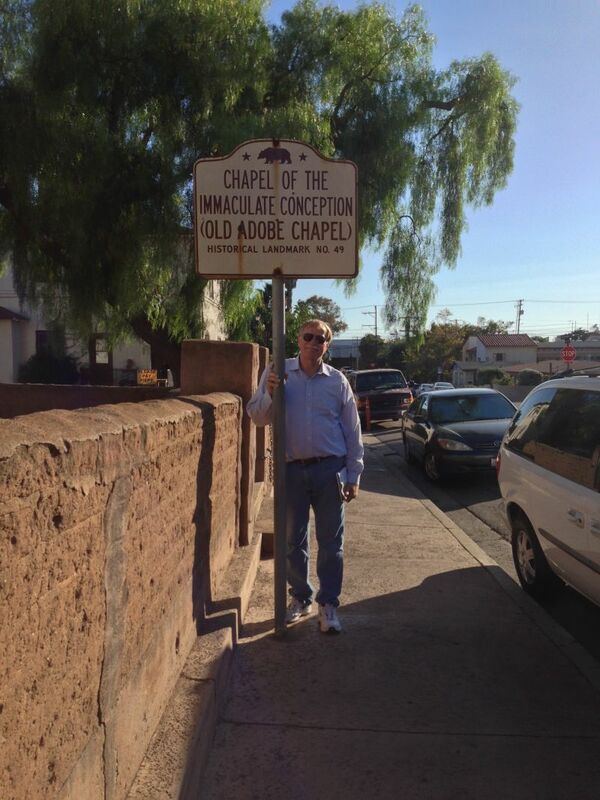 49 ADOBE CHAPEL OF THE IMMACULATE CONCEPTION - Originally built as the home of San Diego's John Brown. 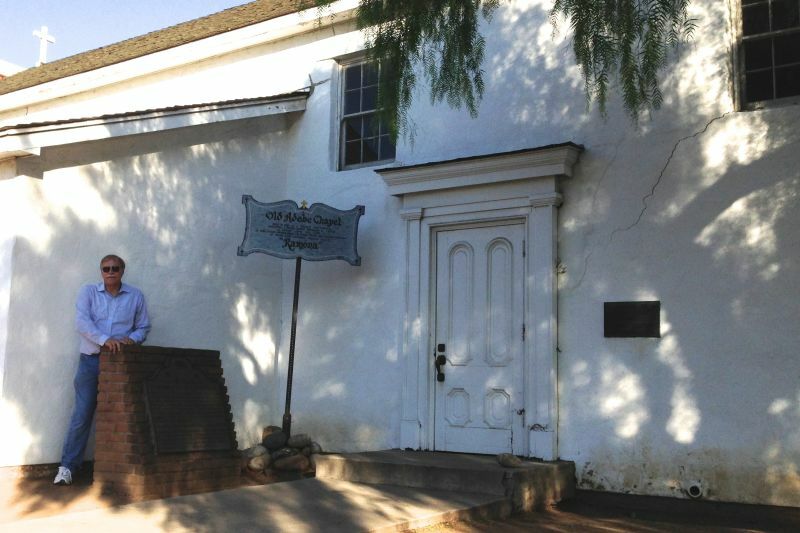 In 1850, the house was converted to a church by Don José Aguirre in 1858. 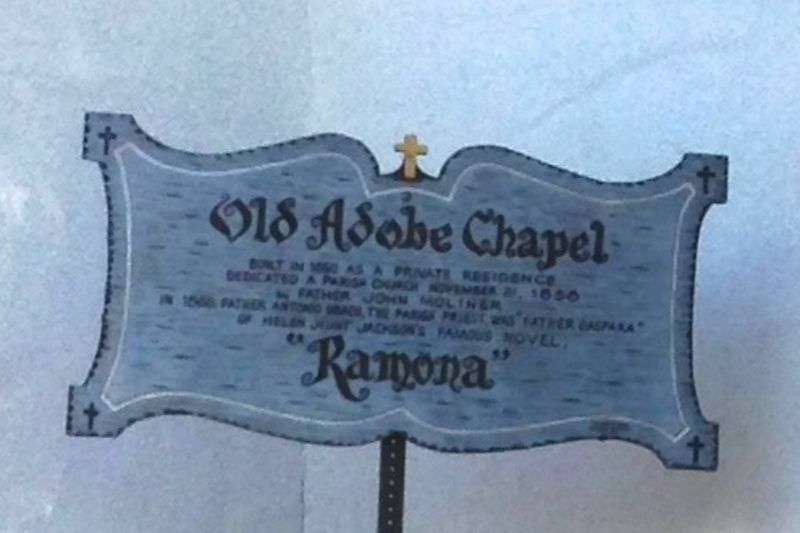 Father Antonio D. Ubach, formerly a missionary among the Indians, was parish priest here from 1866 to 1907. It is said that he was the model for “Father Gaspara” in Helen Hunt Jackson's Ramona. 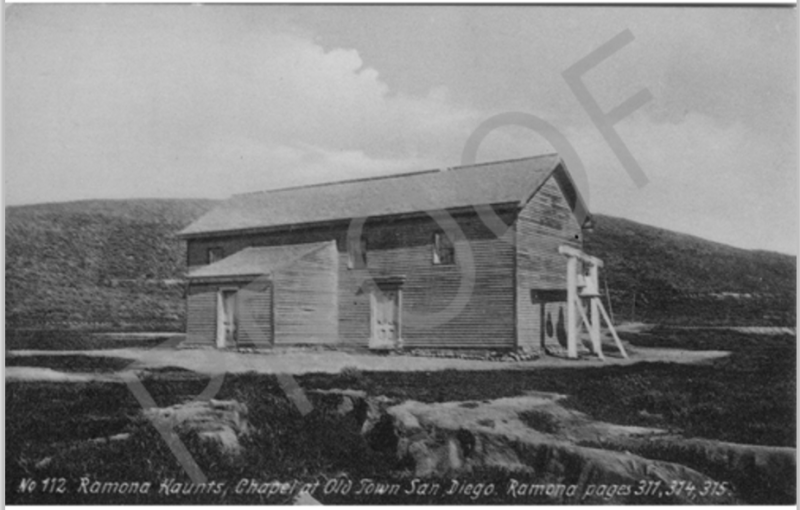 In 1937 the WPA rebuilt the adobe chapel close to its original site.